September 2016 saw the launch of the first ever Club Championship at Angkor Golf Resort.A prestigious event in any club calendar and another unique benefit for our Preferred Golfer Card holders. The event followed a traditional format of two rounds of strokeplay qualifying, where 24 competitors took part, followed by knockout matchplay; 8 players, based on gross scores qualified for the Club Championship division and the next 8 players, nett score, qualified for the handicap division. 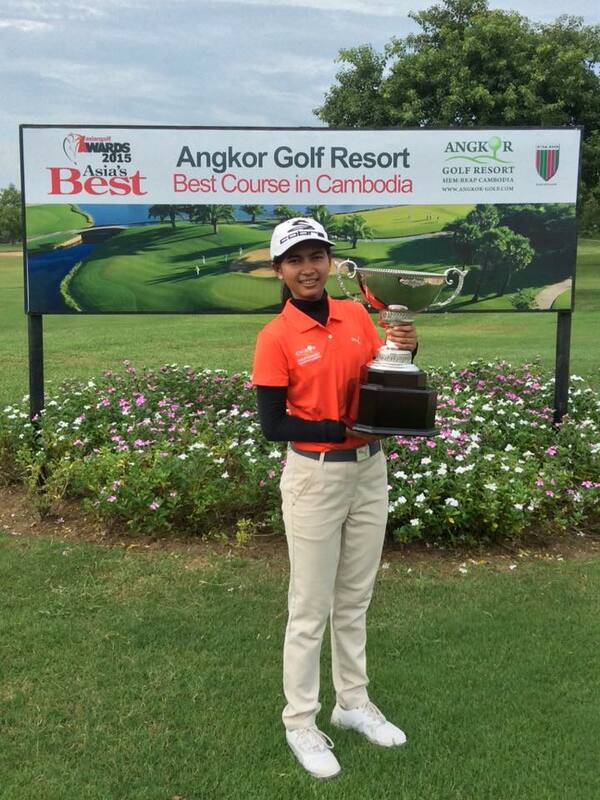 Local favourite and recent winner of the Angkor Amateur Open, Ly Hong was the lead qualifier with a round of level par, 72. It was 16-year-old Tevy Sareoun (Academy Ambassador) who was to storm through the knockout rounds and lift the Trophy on Sunday afternoon. A comprehensive ¼ final win 8&7, before a competitive semi-final match with the above mentioned Ly Hong who had to withdraw and forfeit the match due to injury on the back 9, clearing the way for Tevy to produce her best golf in the final, making 2 birdies to run out a 6&5 winner against Mr Song Kwon Soo. In the handicap division it was Mr Rob Coward who came through a very competitive ¼, semi and final match. Notably in the semi-final his match against Piet Holten that came down to the last putt on the 18th green. The final was also looking like heading the distance with Richard Kwon before Kwon tired and Rob powered through the back 9 holes to secure a 3&2 victory.